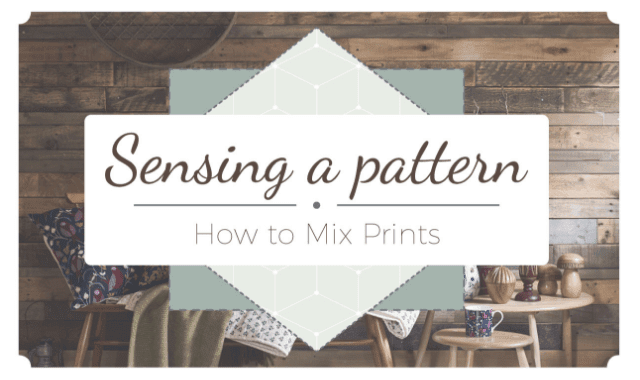 How To Mix And Match Prints In Your Home #Infographic ~ Visualistan '+g+"
As the seasons change from autumn to winter, we spend more time in our homes as the prospect of battling the cold becomes less and less appealing. As such, we’re more inclined to revamp them, creating cosy areas to snuggle down and relax. A great way to renovate any space is by introducing patterns and prints. Not only can variety add texture to your room, it can also help you make a statement without the need for expensive artwork or opulent accessories. But how do you achieve the right blend of patterns? Home décor magazines make combining different prints look effortless, but there are certain considerations to make to prevent your room from looking jumbled. There are some general rules of thumb that can help you create the perfect space. For example, mixing different textures, like velvet with faux fur, can add multi-layered luxury to your room. When it comes to print, try neutralising the patterns you use with soft colours. They will break up the print and ground your room’s décor. Of course, it’s not just mixing different patterns that can be tricky — incorporating the same prints can create an equally stylish finish. When using checked patterns, choose a larger check and pair with a smaller checked pattern — like on a throw and duvet cover, for example. The great thing about this trend is that it offers virtually endless possibilities. From geometric patterns to animal prints, tartan and polka dots, there’s a variety of styles that can be mixed together in endless combinations, creating a fresh look season after season. To coincide with House of Fraser’s collection of bedding, the department store has created this infographic offering some helpful tips on working prints into your home. Take a look through to find out more.